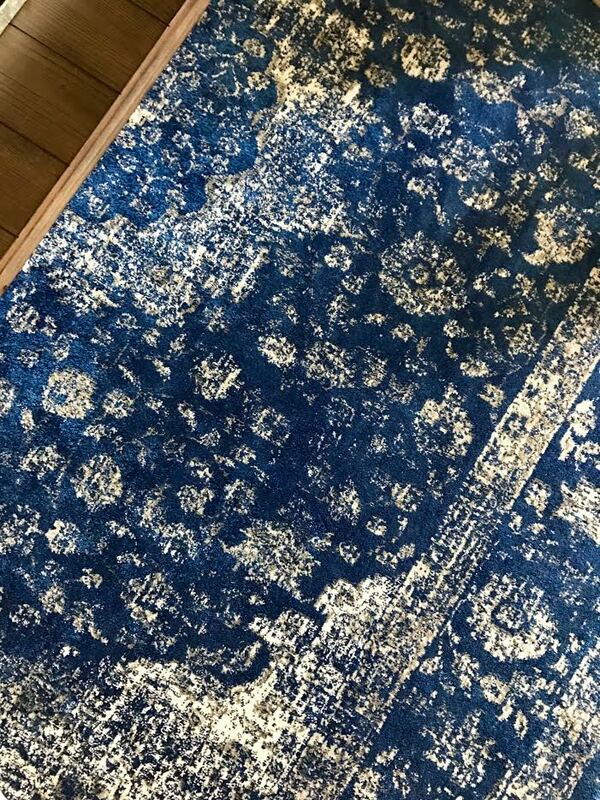 Over break we added another BLU-tiful rug to the household. 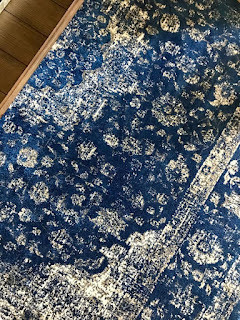 In case you haven't noticed blue is kind of the running theme in this house (Our Coastal Craftsman) and I can't seem to get enough. 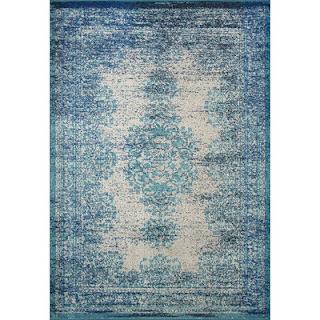 The kitchen needed a runner but I couldn't find one that was the exact length I wanted so instead I ordered a 3x5 rug. This post contains affiliate links provided by Wayfair. So when I found this beauty I knew it was the one! (Link to buy kitchen rug HERE) It is the perfect rug to tie together the dining room and the family room. Mission accomplished! 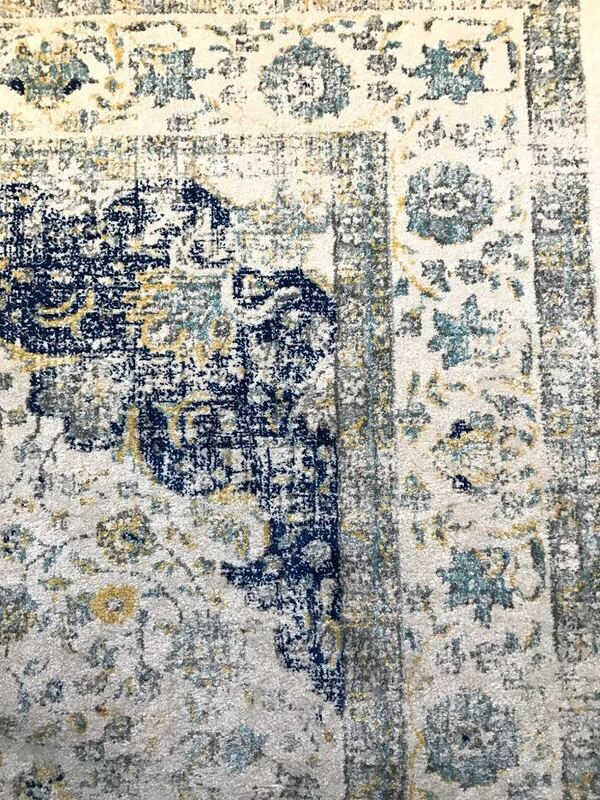 This is a super close up of the actual rug. 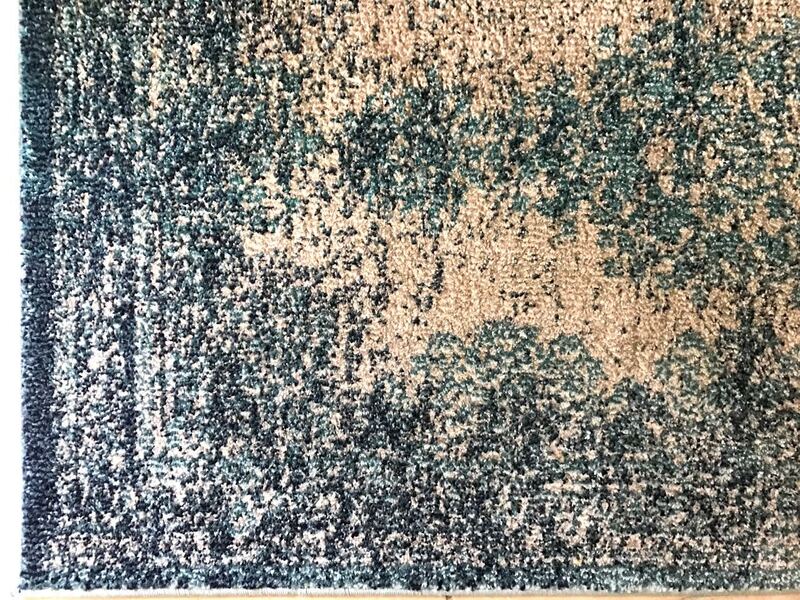 You can see the darker blues and navy colors as well as the aqua! Since I'm here on the computer I figured I would re-link up the bedroom gray jute rug HERE. 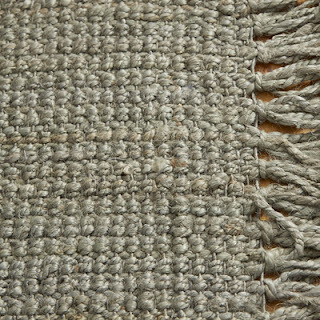 This is the same rug that used to be in our family room at the old house. 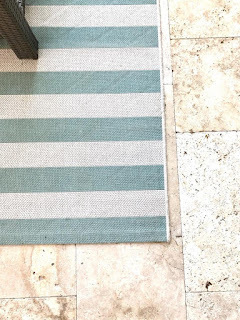 As well as the resort aqua striped patio rug. 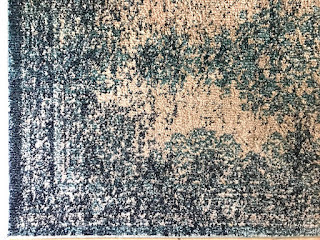 (Purchase link HERE) Plus I just noticed this rug is actually on SALE right now! Wow ! 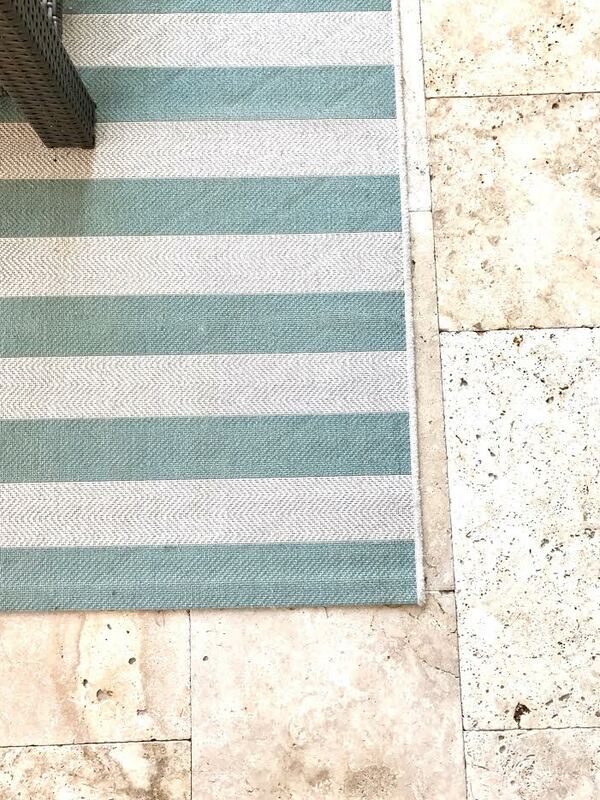 I like the rugs in the image.But i like that blue one most and want to buy it soon to use it as Outdoor rugs. 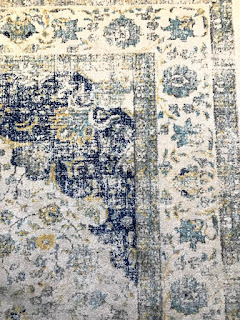 Find the best quality of rug at Apricothomerugs. Thanks for sharing the ideas to decor our home or work place with these beautiful decoration pieces. I so in love with all of them.